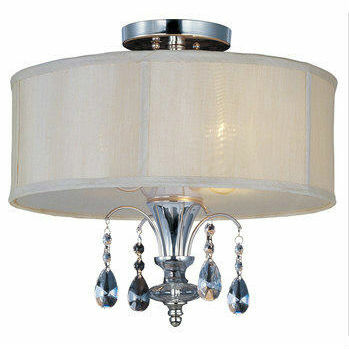 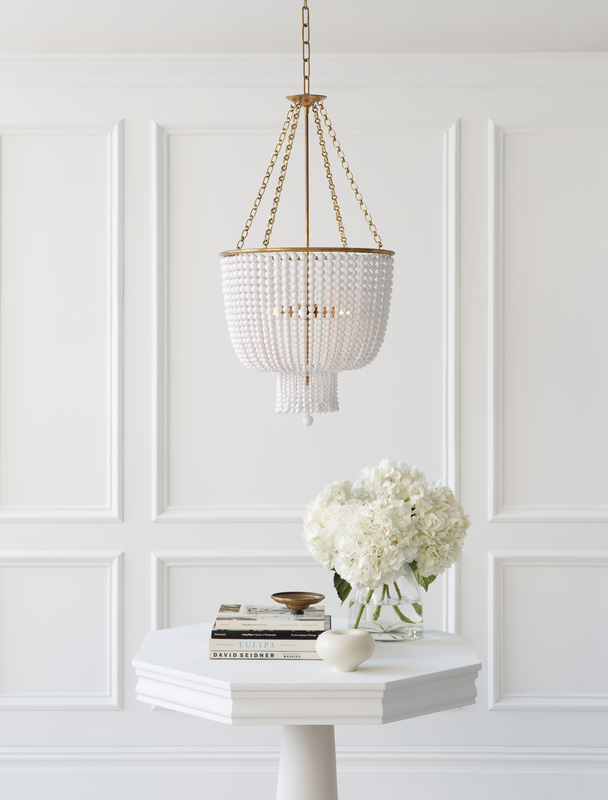 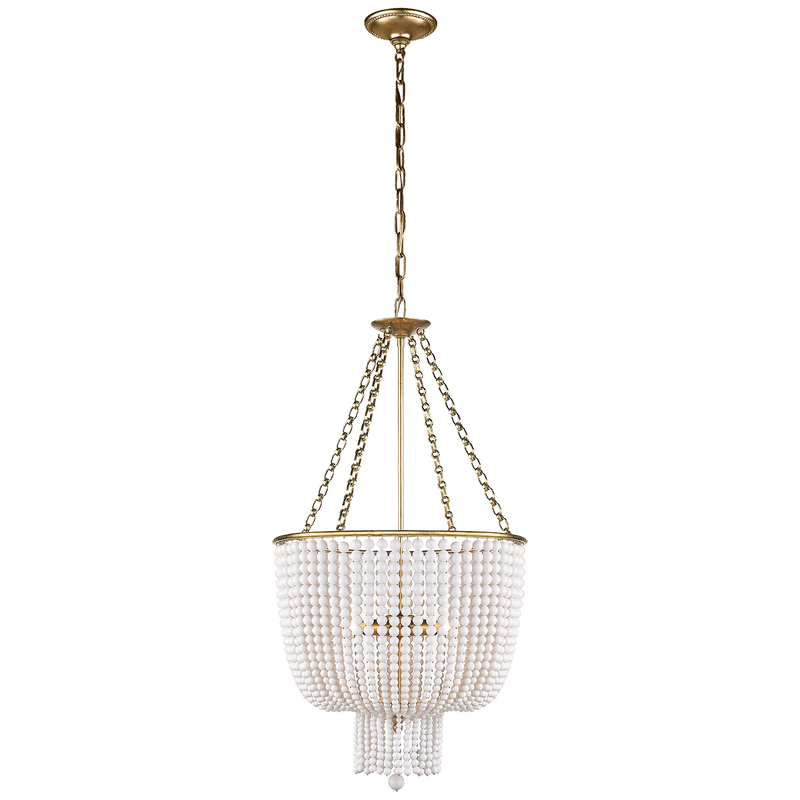 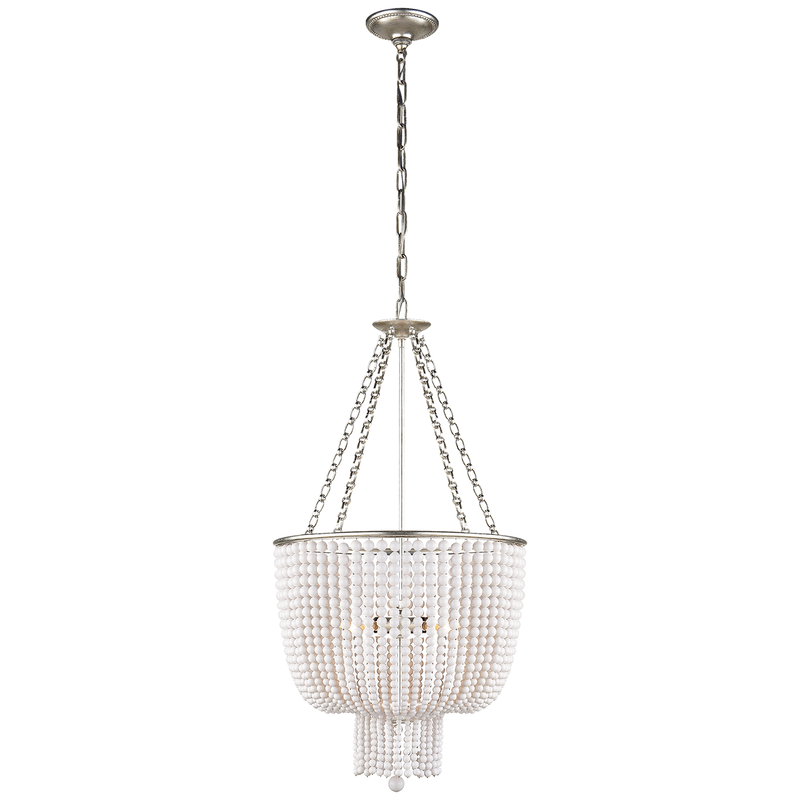 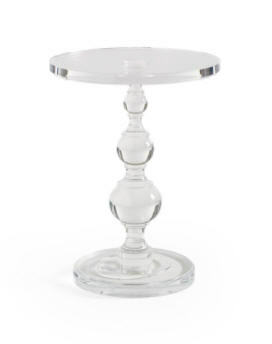 The Jacqueline Chandelier brings a refined, traditional presence to your living space. 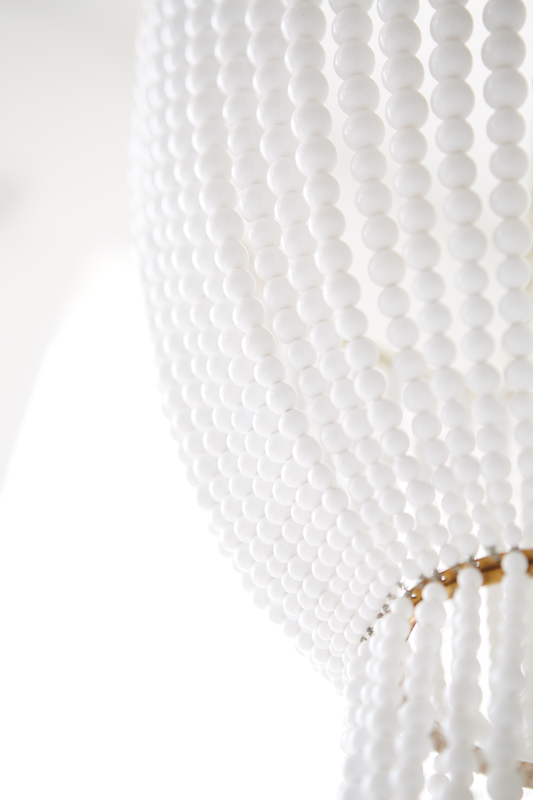 Its design consists of individual strands of decorative beads which gently cascade down to a central bead accent. 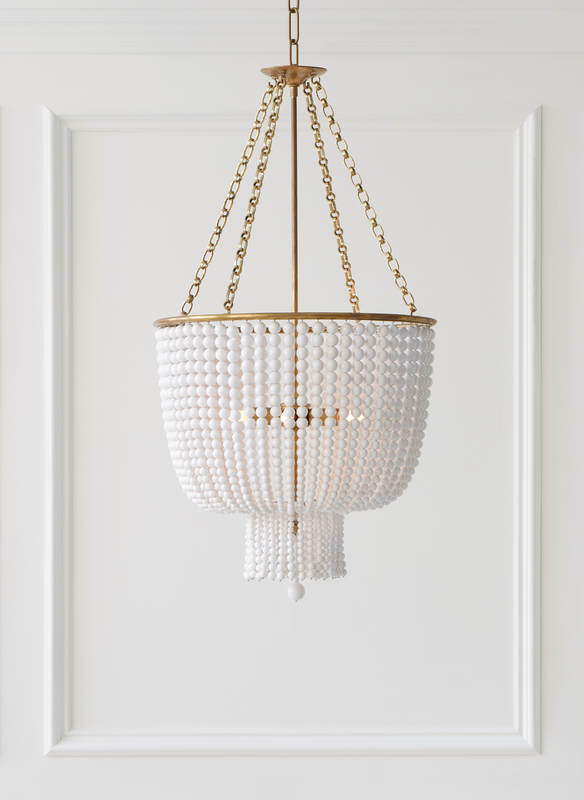 The semi-transparent surface (and the beads themselves) allows for light to filter out in a dynamic, shimmering fashion, bringing ambiance as well as lighting to the surrounding space.